A company dedicated to the auto repair, auto collision and auto sales industry. 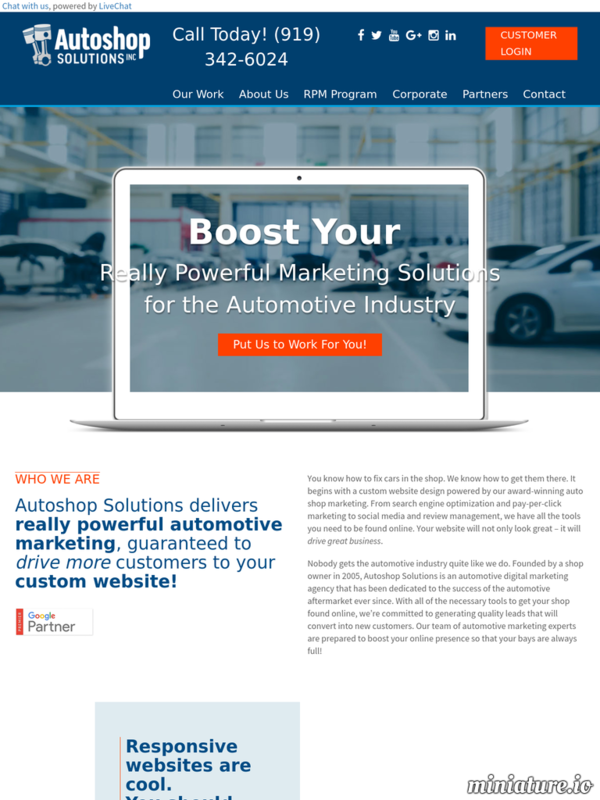 We offer award winning website design and internet marketing services, electronic media marketing, and sales and management training by one of the most successful shop owners in the automotive industry, Danny Sanchez. Our programs have been designed to be affordable and extremely effective. We have proven results with shops either doubling their sales from Danny's training, or shops with over a hundred new customers a month from our marketing programs. The end result is Autoshop Solutions can help you grow your automotive business with ethical and proven tools and products. Next Link Get MORE new customers...NO upfront cost!